The B.C. 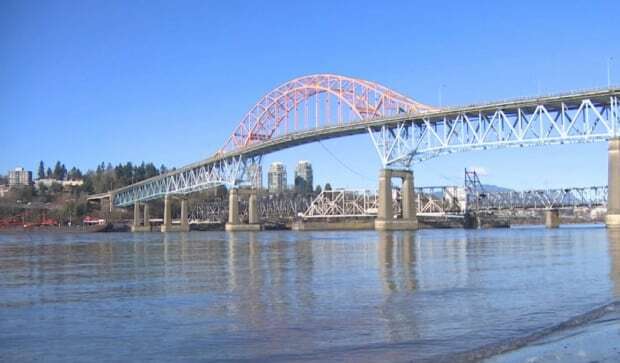 government will build a new replacement for the Pattullo Bridge, with construction scheduled to begin in the summer of 2019 and completion slated for 2023. Premier John Horgan made the announcement this morning on the new $1.3-billion bridge during a press conference at the foot of the Pattullo Bridge. 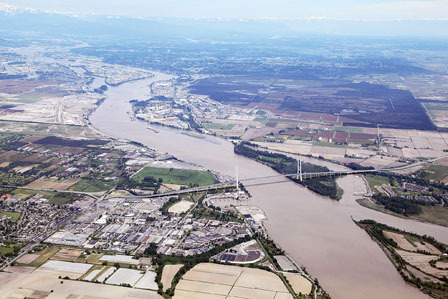 The bridge, which links Surrey and New Westminster, has been in operation since 1937, and has about 70,000 crossings daily. But it is decades past its expected lifespan, no longer meets current wind or seismic load design standards and has only five years until it is no longer usable, according to multiple levels of government. "It's long overdue to replace the Pattullo Bridge, so I'm happy to announce today that the province will be taking over the project, ensuring the Mayors' Council can focus on the 10-year plan," said Horgan. "We've been able to reduce congestion on this bridge but we haven't been able to make it safer, we haven't be able to make it wider … this has to be replaced." 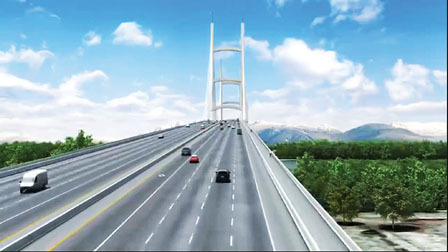 The bridge will have four lanes of traffic for vehicles, a median in the middle, and separate dedicated lanes on either side for cyclists and pedestrians, according to the government. There will be room in the design to expand to six lanes if necessary, but the province doesn't believe that will need to happen. "We don't believe based on traffic flows today … that it will be required in the long term," said Horgan, referencing the fact that traffic on the bridge has decreased since tolls were eliminated on the nearby Port Mann Bridge. It will also be funded entirely by the provincial government, from a budgeted $14.6 billion capital infrastructure plan scheduled for the next three years. 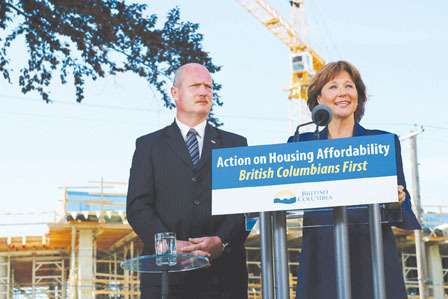 The provincial government will be solely responsible for the design, building and financing of the bridge, and will have to dispose of the existing bridge, said Horgan. TransLink, the owner and operator of the current bridge, previously had plans to undertake a replacement project while considering extensions to the Millennium Line and creation of light-rapid transit for Surrey. 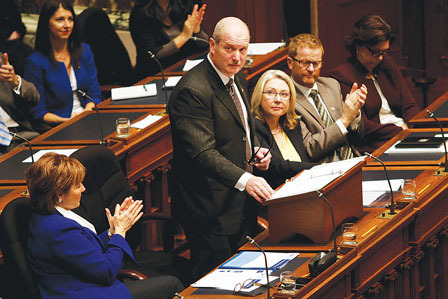 After he was elected in December as chair of the Mayors' Council — which oversees TransLink — Burnaby Mayor Derek Corrigan expressed concern about TransLink pursuing all of the projects equally. 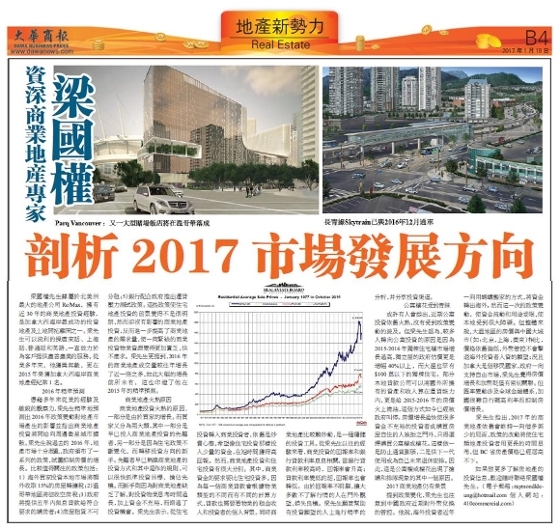 "They're looking at a very ambitious plan. And I think they were trying to proceed very quickly to accomplish everything in the plan. I think there will be a slow down," he said at the time. Gordon Price, who was a Vancouver councillor when the Pattullo was transferred to TransLink in 1999, said the change in authority makes sense. 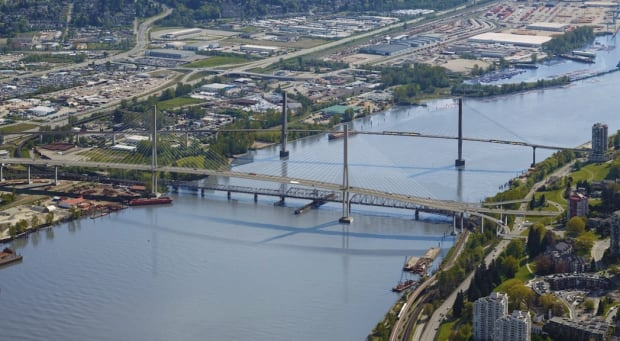 "Basically the region has said they would pay for a new Pattullo Bridge with a toll, but it's pretty clear the NDP isn't going to accept that. 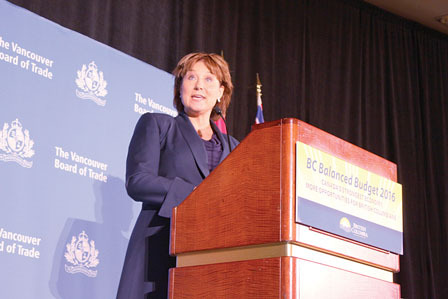 So as a consequence, they've created a fiscal hole that they can kind of fill by taking the bridge off TransLink's hands." It's unknown when funding will be finalized for the Millennium Line extension and light rapid transit in Surrey, but the Mayors' Council, which oversees TransLink, have said they're optimistic for an agreement in the coming months with the provincial and federal governments. B.C. Liberal leader Andrew Wilkinson questioned why the provincial government couldn't get federal funding for the Pattullo Bridge replacement as well. 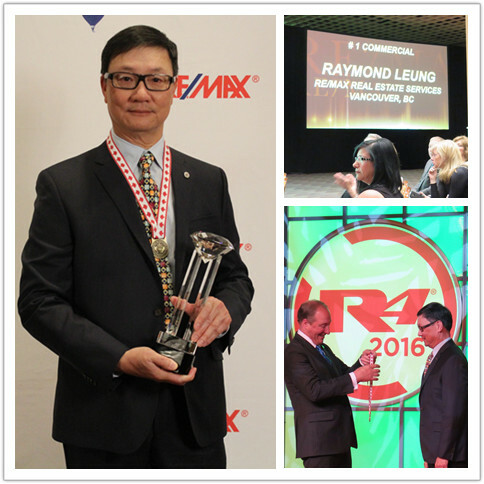 "Normally major infrastructure projects have a large component of federal financing. So we have to be concerned that B.C. rushed into this alone, and missed out on almost a half billion dollars of federal infrastructure funding," he said. Ian Paton, B.C. Liberal MLA for Delta South, also criticized the government for prioritizing the Pattullo over the Massey Tunnel, which was going to be replaced by a new bridge under the Liberal government, but is now currently under review. Relative affordability compared to alternatives. Over the next 30 years, Surrey will welcome 300,000 new residents. As the city grows, so do our transportation needs. LRT provides a proven, high-quality, efficient and environmentally friendly means to move people that meets our long term needs. Our proposed LRT network spans 27 kms with two lines and approximately 19 stops linking residents with where they need to go. See the map. Download the preliminary station location map. 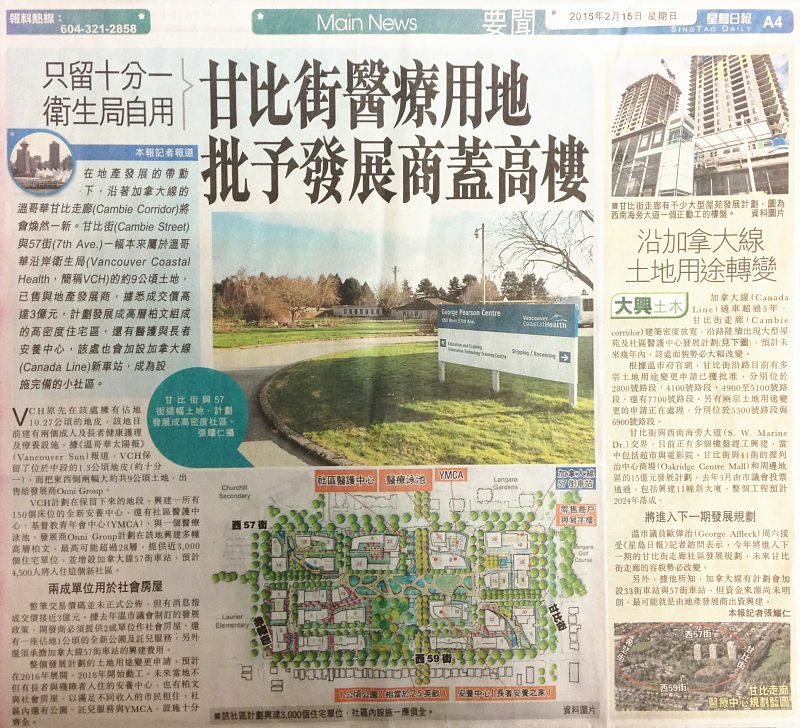 The project has been informed by consultation with the public and stakeholders. TransLink led the first two phases of consultation in 2010 and 2011. The study team presented preliminary concepts and an evaluation of 10 design alternatives for input. Based on nearly 400 feedback questionnaires and more than 750 comments from four community workshops, key design concepts were confirmed and refined. Read the 2011 consultation summary. The next phase of public consultation is being developed and will launch once additional technical work is complete. Phase 3 will focus on community integration, which will look at elements like access to stations, roadway changes to accommodate the new lines and components of station design. Check out our Project History and Updates page. For more information on the consultation process, visit translink.ca/rapidtransit. High Rise Building on Cambie St.